Attorneys for a teenager charged in the school shooting deaths of three students are renewing their effort to move the trial out of a grief-stricken community in northeast Ohio. Attorneys for 18-year-old T.J. Lane asked the trial judge in Geauga County located east of Cleveland for permission to make their case in a sealed document. The defense didn't elaborate in the motion filed late Monday. A member of the defense team, Ian Friedman, confirmed a supplemental request to move the trial had been filed but declined comment Wednesday. There was no immediate comment from prosecutors, who had said an earlier request to move the trial was premature. A message seeking comment was left Wednesday for Prosecutor David Joyce, who has been elected to Congress and takes office Thursday. Geauga County Common Pleas Judge David Fuhry has indicated he wants to wait and see if an unbiased jury can be selected in Chardon. Lane's trial is scheduled to begin Jan. 14. 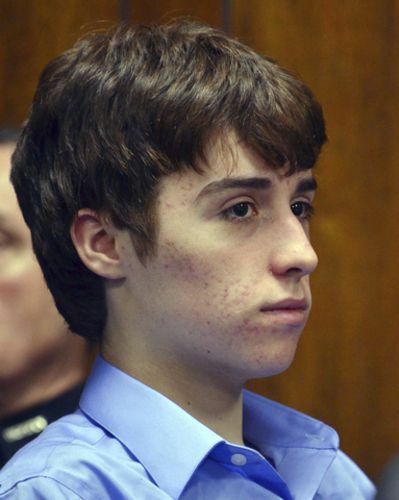 He faces up to life in prison without chance of parole if convicted in the attack last Feb. 27 at Chardon High School. He isn't eligible for the death penalty in Ohio because he was under 18 at the time of the crime. The defense asked the judge in August to move the trial because of "an ongoing state of mourning, anger and community support for the victims and their families" in Geauga County. The defense said media coverage of the shooting had been so extensive and the subject "so disturbing" that it would be impossible to find an unbiased jury in Geauga County. Lane has been charged with aggravated murder, attempted aggravated murder and felonious assault. Before the case was sent to adult felony court, Lane was ruled mentally competent to stand trial in juvenile court by a judge who considered evidence that Lane suffers from hallucinations, psychosis and fantasies. Prosecutors say Lane has admitted taking a .22-caliber pistol and a knife to the high school and firing 10 shots at a group of students sitting at a cafeteria table at the start of the school day.